One of the kind Penthouse with privare entry to the pool on the top of the roof.12' plus ceiling, hard wood through, windows from top to buttom, very open airy floor plan. 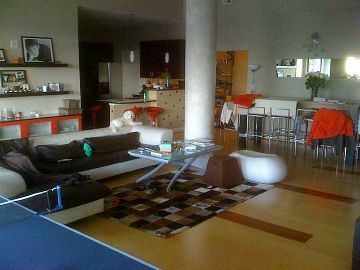 Furnished with top european designer furniture. 2 bedroom/2.5 bathroom, office. 2 best assigned parking spaces in the building.The best of the best.